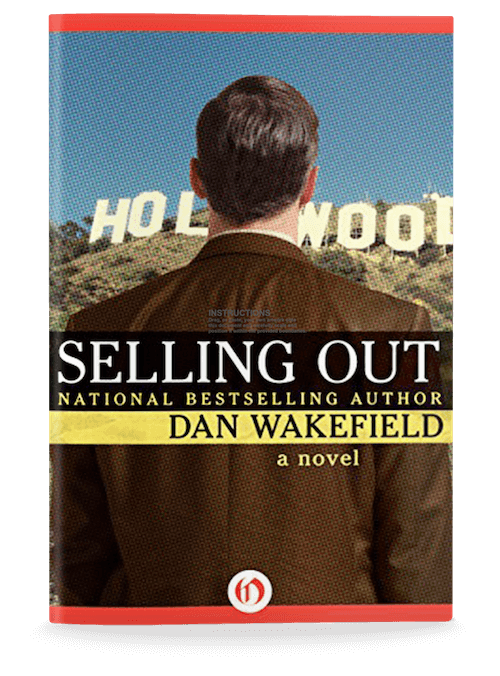 Dan Wakefield’s Selling Out does for Hollywood what William Tecumseh Sherman did for Atlanta. This is a novel that just flat- burns- killing funny, killing sad, fires everywhere. War is hell, maybe, but so is L.A. and Wakefield takes no prisoners. - Novelist Tim O'Brien, Author of "The Things They Carried"
This is my “Hollywood novel,” based on my experience selling NBC a prime-time TV series based on only the title – “James at 15.” This was in 1977, which is now like the Pleistocene Era of television. But the same principles hold true – greed and lust. While I was there I met Maya Angelou, who had been brought out by the network for a possible tv script. At an NBC party she looked around the room, smiled, and said to me “I just love all the greed!” It was tangible – I tried to grab some but it slipped through my grubby paws. Sad, funny, astute. . . a rare pleasure! To say that it is a very American story is true enough, but it would be more relevant to say that it is going to become even more so. Its central subject—the baffled despair of young men trying to reckon with middle class, material values in a world where they no longer suffice—is only beginning…it is possible that the current publishing season will produce no book more urgently felt. Reading Wakefield’s novel feels, in some ways, like reading an anthropologist’s notes on an extinct culture. 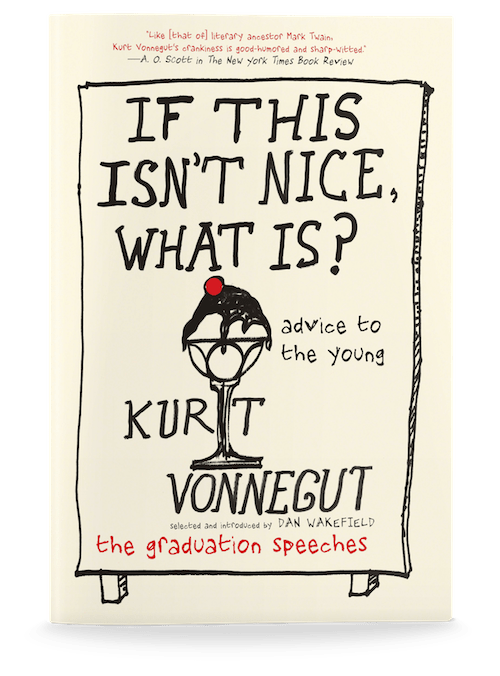 And yet, below the surface quaintness—the talk about ‘hard-ons’ and ‘Big Rods’—is a timeless story about young men and about America growing up. Going All The Way is the ‘Catcher in the Rye’ of the Midwest. Like all great books, it somehow manages to preserve the mood and texture and morality of its time and place. 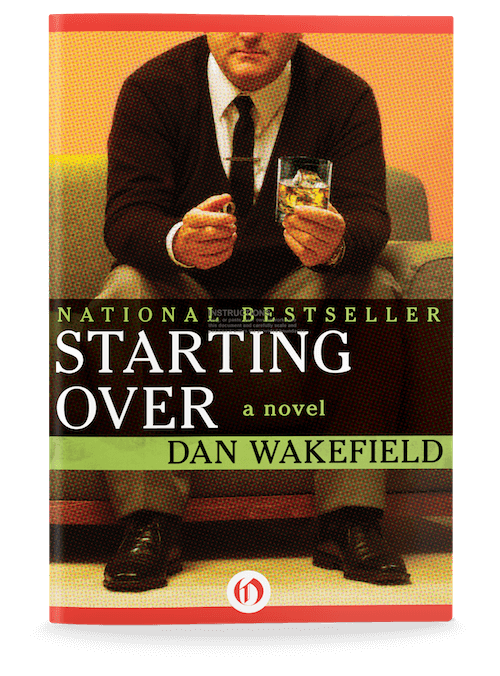 A bestseller in 1970, it is Dan Wakefield’s most famous novel. It seethes with pent-up frustration and confusion, and nearly every episode bubbles with hilarity. It is a book that so perfectly captures its time and place that it transcends the specific and becomes universal, which is as good a definition as there is of a classic. 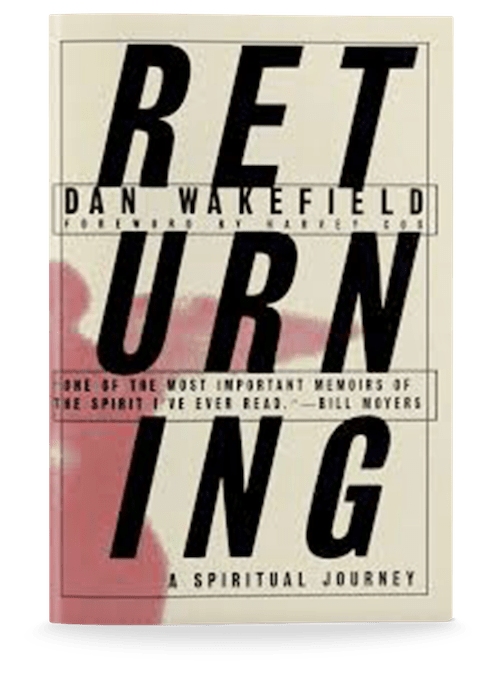 One of the most important memoirs of the spirit I have ever read. What a wonderful book is Dan Wakefield’s The Story of Your Life. It will help many people to write their own spiritual autobiographies . 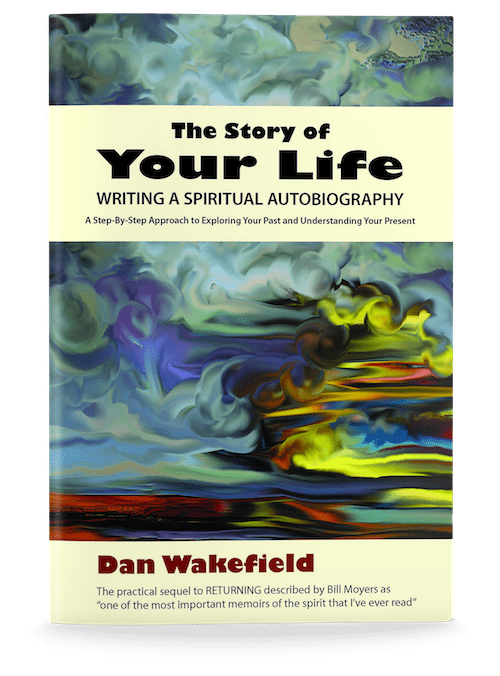 . . And I suspect that many readers are going to want to take one of Wakefield’s workshops in writing your spiritual autobiography. 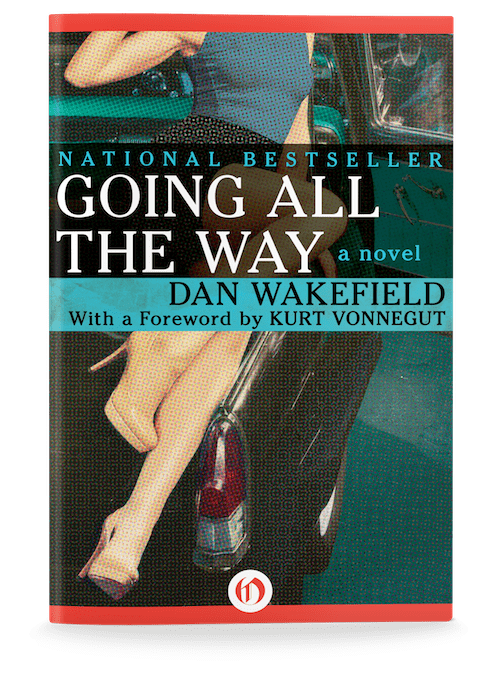 Dan Wakefield writes about mid-America during WWII with the narrative skill of a Booth Tarkington laced with the more stoic sense of the human condition of an Ernest Hemingway. 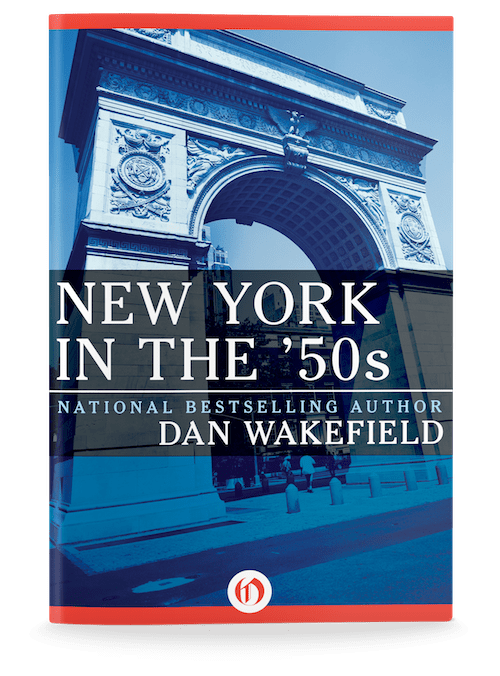 Dan Wakefield has become the Boswell of the heady days when art and literature had a single flowering in The Village. A precise and moving recreation of a time and a place when the world seemed small and we knew everyone in it. A rich and wonderful work that evokes the spirit of that pre-sixties period, that simmering brew that would erupt into the social and sexual transformations marking the Age of Aquarius and the End of Ike. This lovely, brimming book tells anyone who was not there what it was like.